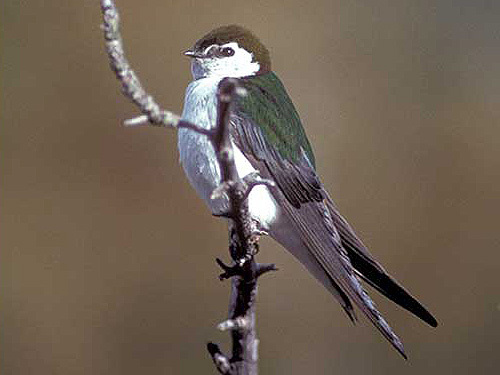 Violet-green swallows are most often seen in high elevation mountain mountain habitats in the Upper Klamath and Tule Lake Basins. They are an uncommon spring and summer nesting species in this area. Dave Menke, Lava Beds National Monument, Heppe Ice Cave, Siskiyou Co., Ca.